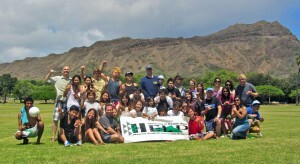 HELP is an intensive English program for students whose first language is not English. HELP is focused on training students in English skills for college or university study, but we welcome anyone who is interested in improving their English for academic, professional, or personal purposes. HELP is part of the Department of Second Language Studies of the University of Hawaiʻi, recognized as a global leader in research and training in the teaching of English as a Second Language. Many of HELP’s outstanding faculty members come from this department. 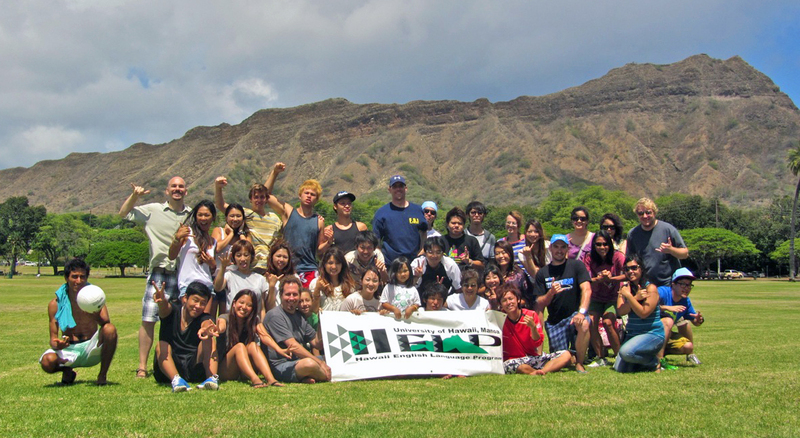 The mission of HELP is to empower our students to succeed at the University of Hawaiʻi-Mānoa and other higher educational institutions, as well as in their personal and professional lives, by providing exceptional English as a Second Language instruction. As a unit of the renowned Department of Second Language Studies, HELP also advances understanding of language learning by promoting second-language research and professional development for members of the Department and other researchers. To provide a gateway to successful university study by preparing students with a transformational learning experience encompassing academic English language and college readiness skills. To offer an innovative, rigorous, and research-based curriculum that addresses students’ individual needs and goals. To celebrate the diversity and uniqueness of our campus as a Hawaiian place of learning through encouraging our students to actively participate in the UH-Mānoa community, field trips, student activities, and cultural events. To advance understanding of language acquisition by carrying out and disseminating research into best practices for classroom language instruction and pedagogical innovation. To promote world-class training in the field of ESL/EFL methodology to teachers at beginning and intermediate stages of professional development through the renowned Department of Second Language Studies. Students demonstrate the ability to write well-organized, well-developed, and well-supported paragraphs and essays of varying lengths and rhetorical styles at each level of the program. Students demonstrate the application of reading strategies to extract meaning and ideas from a variety of texts in different genres and at different levels of complexity as experienced at each level of the program. Students demonstrate the ability to apply listening strategies to comprehend, interpret, and respond to discourse that is either non-participative or participative in developing stages at each level of the program. Students produce spoken language to express themselves and their relationship with others and the world in a variety of activities, such as conversations, discussions, presentations and debates, each of which demands increasing fluency at each level of the program. Students demonstrate a solid foundation in the form, meaning, and use of grammatical structures in speaking, reading, and writing. Students demonstrate personal development in becoming autonomous lifelong learners who engage in self-assessment, critical thinking, ethical reflection, cooperative and collaborative teamwork, and participation in activities with the larger community both on and off campus.